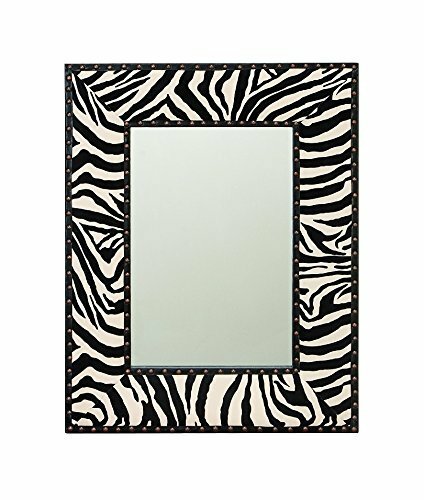 This zebra print mirror is such a cute and easy idea — I even think I can do this one. 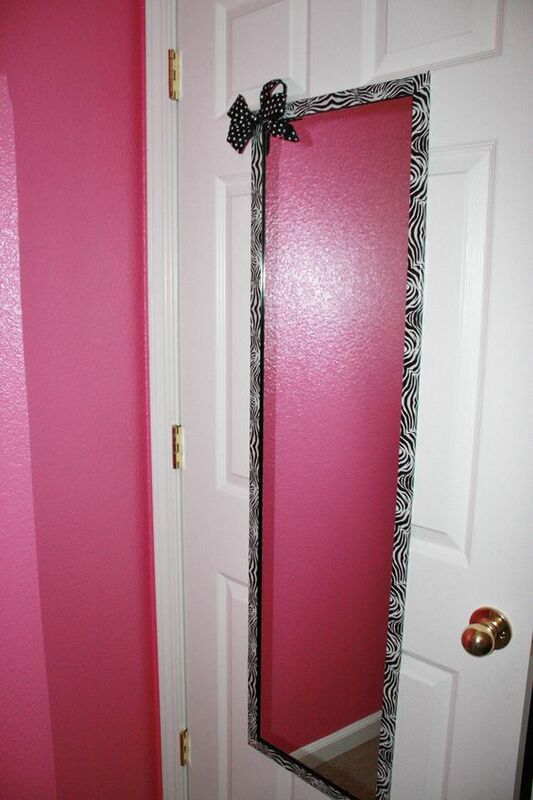 I appreciate cute ideas that I can imagine doing myself. 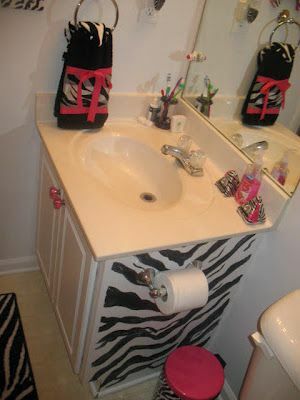 I am not very creative or crafty, so I especially appreciate easy bathroom decorating ideas like this one. Don’t you? 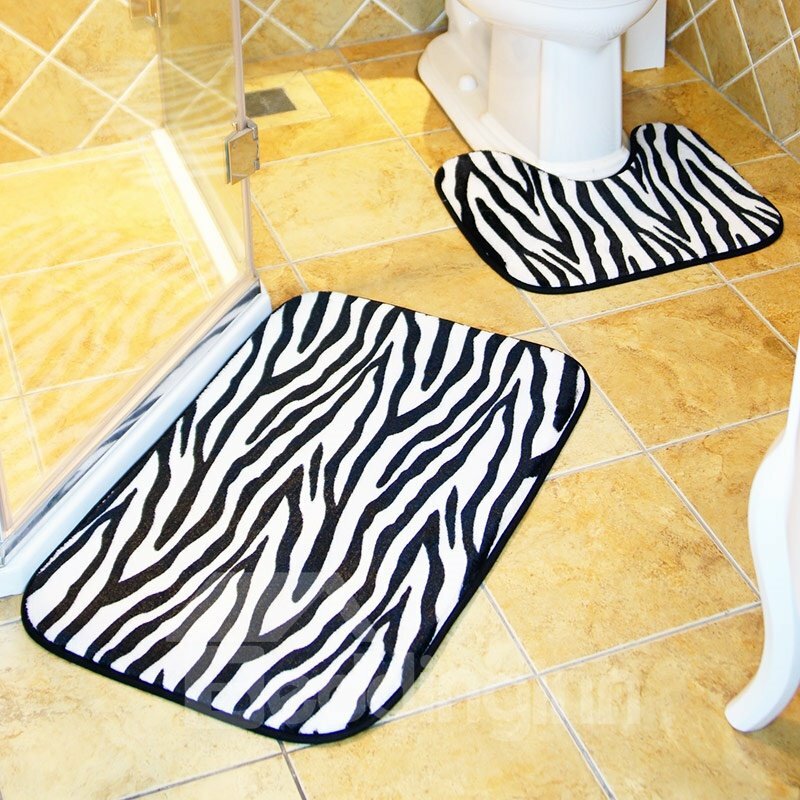 Every bathroom needs one more mirror at least — and this is a fun way to do it and stay in that zebra print bathroom theme. 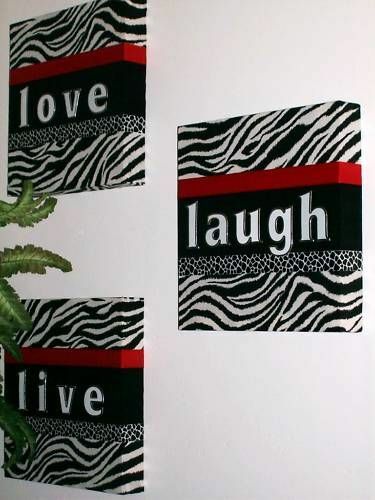 These happy messages are a good way to start the day and an easy way to add to your zebra print bathroom decor. You could also do monograms this way – or any other words/phrases you want to remember daily. If you tend to be grumpy before you find your coffee, as I am, these would be good reminders. 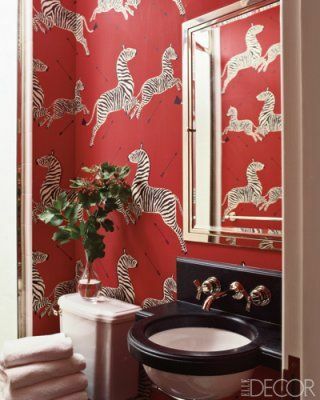 Zebras prance on the walls in this bright and happy bathroom. Note, too, how they added a green plant — always a good idea in the bathroom. Philodendron or bamboo are easy to keep alive. 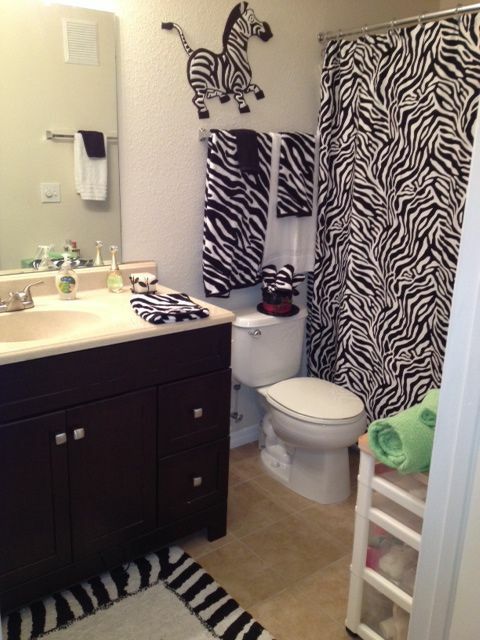 This zebra decor pin caught my eye simply because the bathroom is so bright and airy. 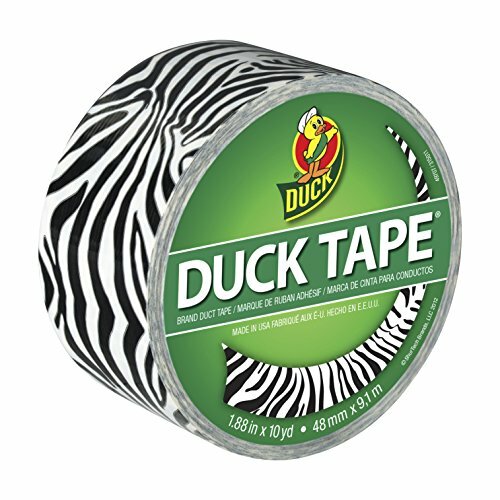 The Zebra romping on the wall gives the room a little whimsy. 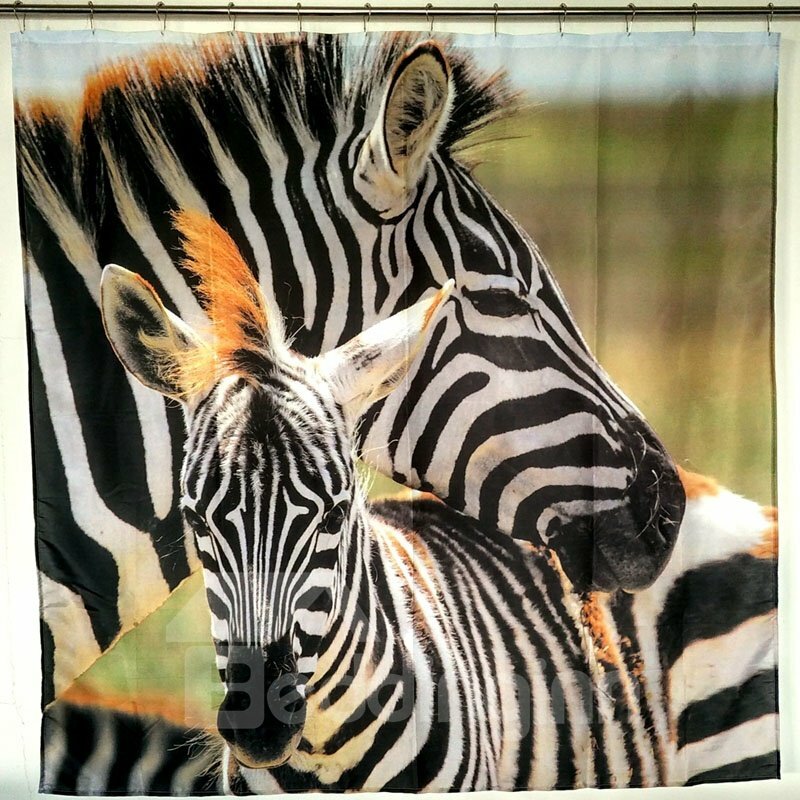 Notice in the mirror, you can see a simple white towel with a black washcloth — a great way to get that zebra effect. 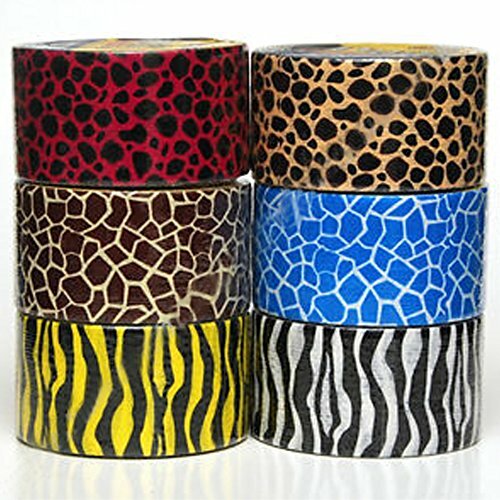 This youtube video has some cute ideas, too!